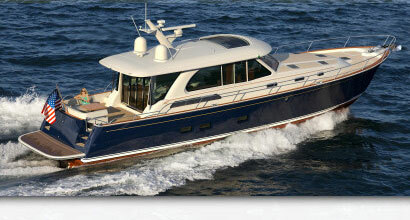 Sabre motor yachts are available in Salon Express and Fly Bridge styles and in lengths from 38 to 54 feet. All models cruise in the mid-twenty knot range and use pod drive systems for quiet and efficient operation. The largest and most luxurious Sabre motor yacht to date will make her debut in the summer of 2015. 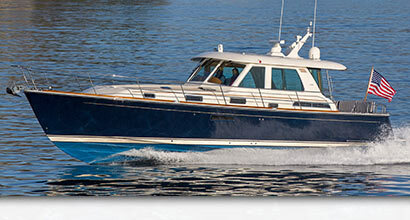 The Sabre 66 Dirigo is the first American built, downeast-style motor yacht of this size to be introduced to the market.